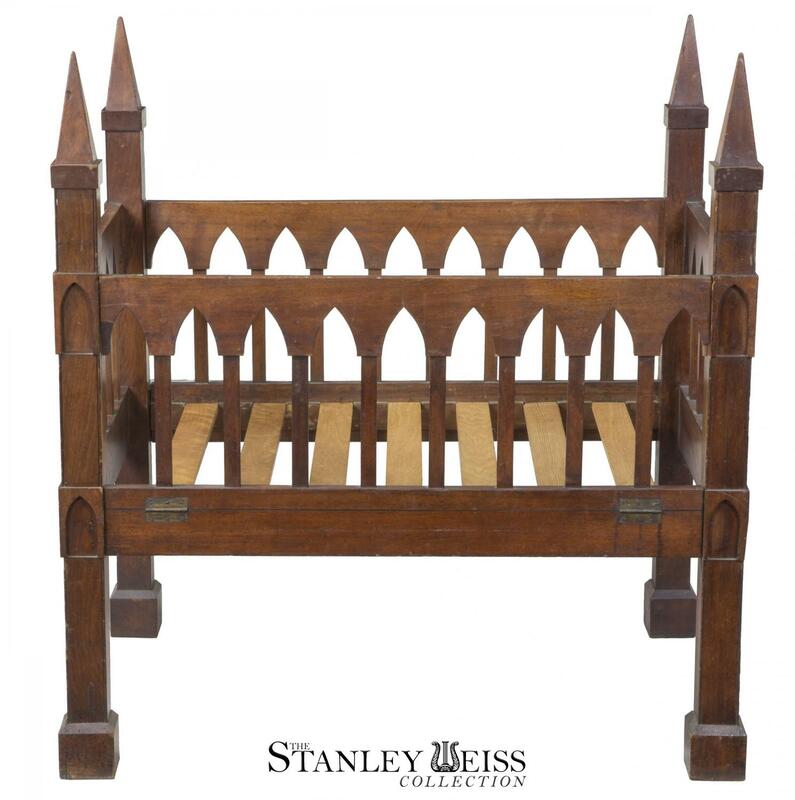 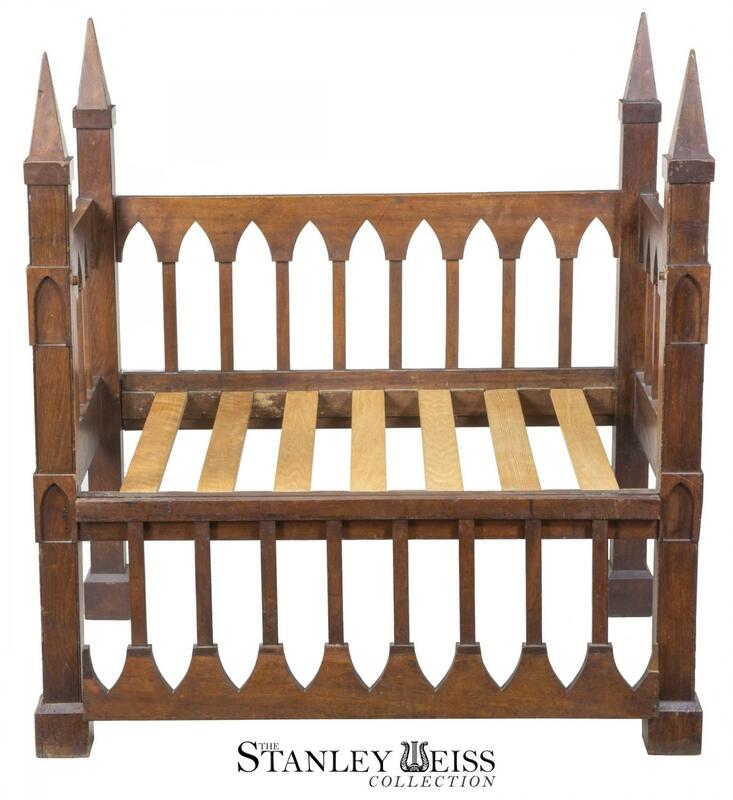 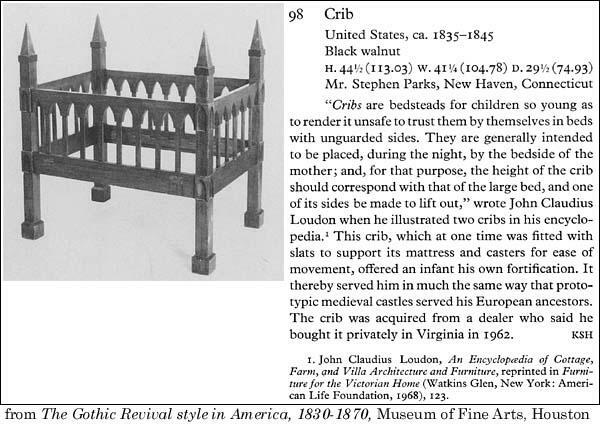 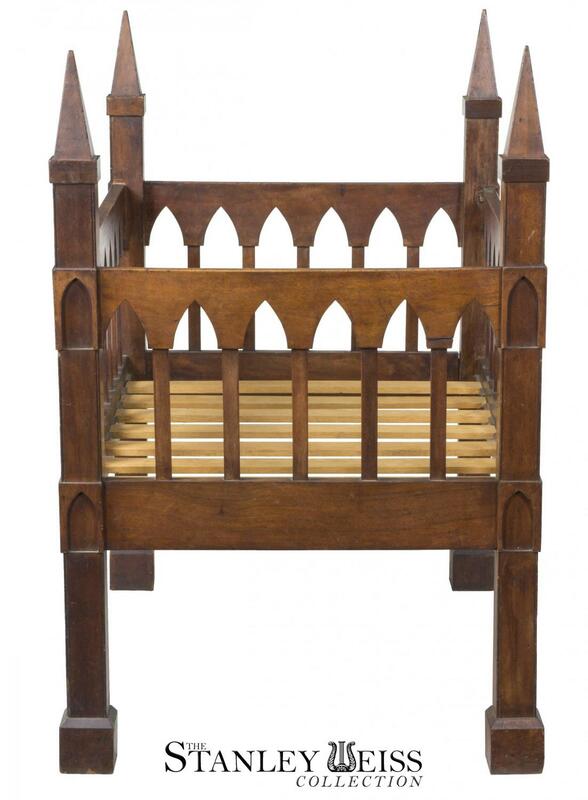 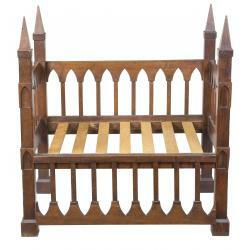 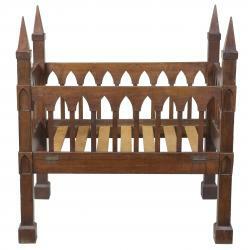 A rare Gothic crib, black walnut, United States, c.1835-45. 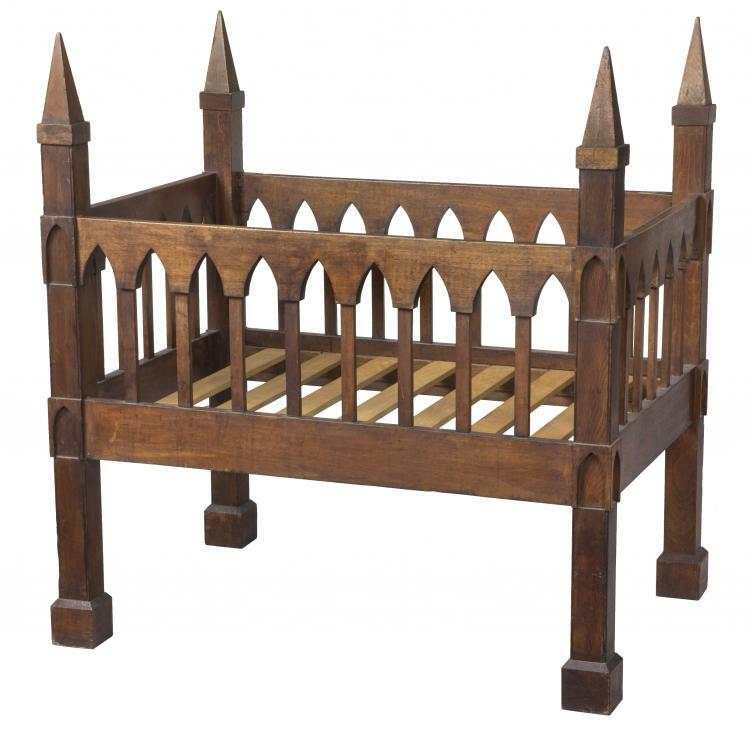 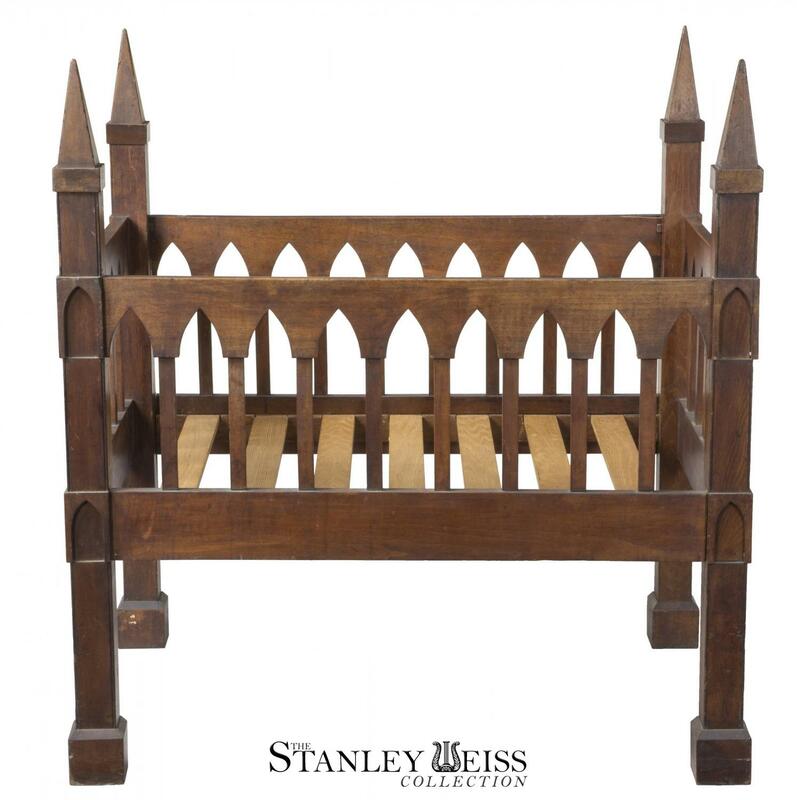 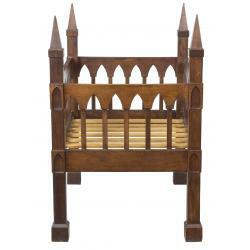 This crib personifies the Gothic idiom with its multitude of Gothic arches and pedimented post supports, which create a formidable and dramatic statement. 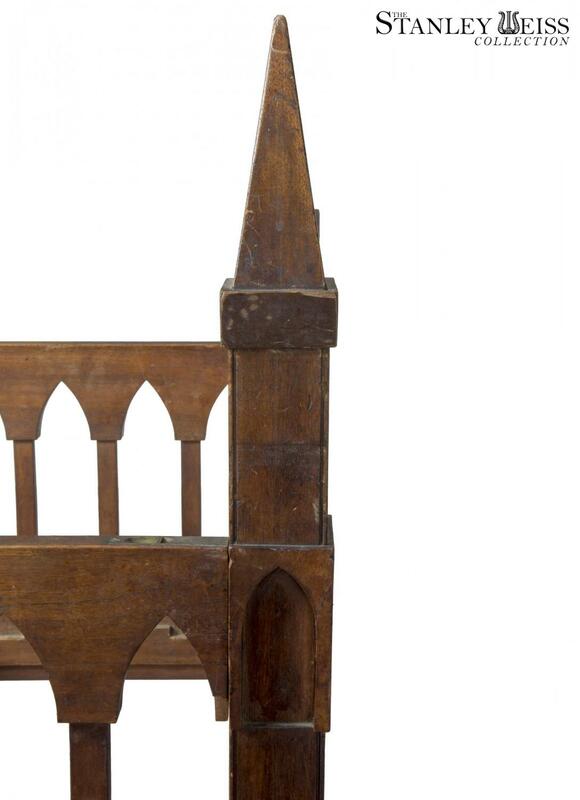 This unusual form was illustrated in The Gothic Revival style in America 1830-1870 an exhibition of decorative arts, 1976, the Museum of Fine Arts, Houston (see scan). 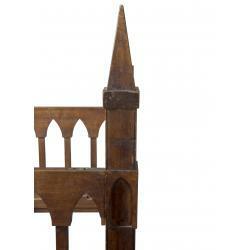 Height: 44 1/2 in. 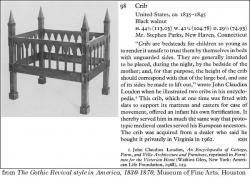 Width: 42 1/2 in. 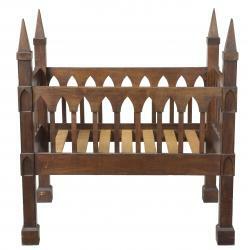 Depth: 30 in.